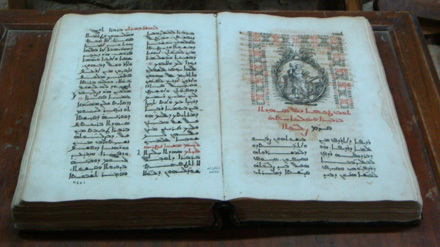 The Printing press of Saint Antonius in “Quzhayya” is the first printing press in the Middle East. It is located in a monastery in the Valley of the Saints in the mountains of the north Kaza of Lebanon. 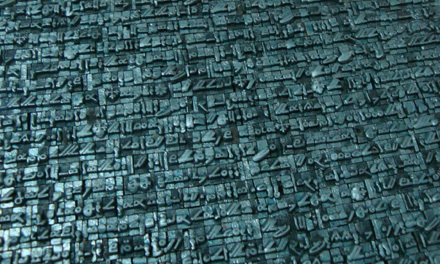 According to historians, a movable type printing press was imported from England to the Saint Antonius Monastery in 1585. 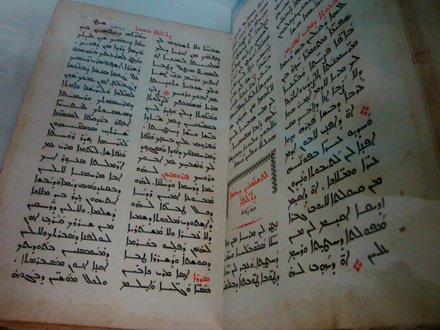 The first publication was the book of “Mazameer” dated from 1610, and now present in the University of the Holy Ghost in Kaslik, Jouniyé, Lebanon. 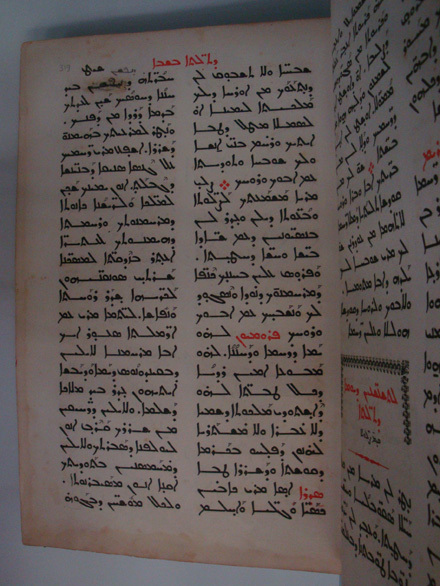 Saint Antonius press did not print with Arabic letters but with Syriac letters. 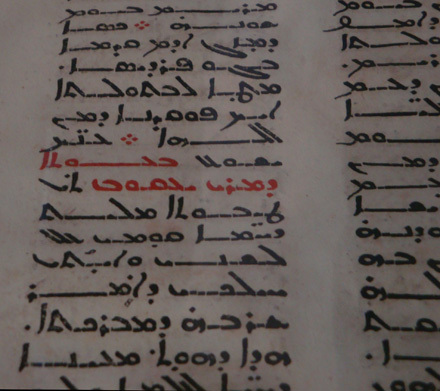 The books where in Garshuni or Karshuni (Syriac alphabet: ܓܪܫܘܢܝ, Arabic alphabet: كرشوني). 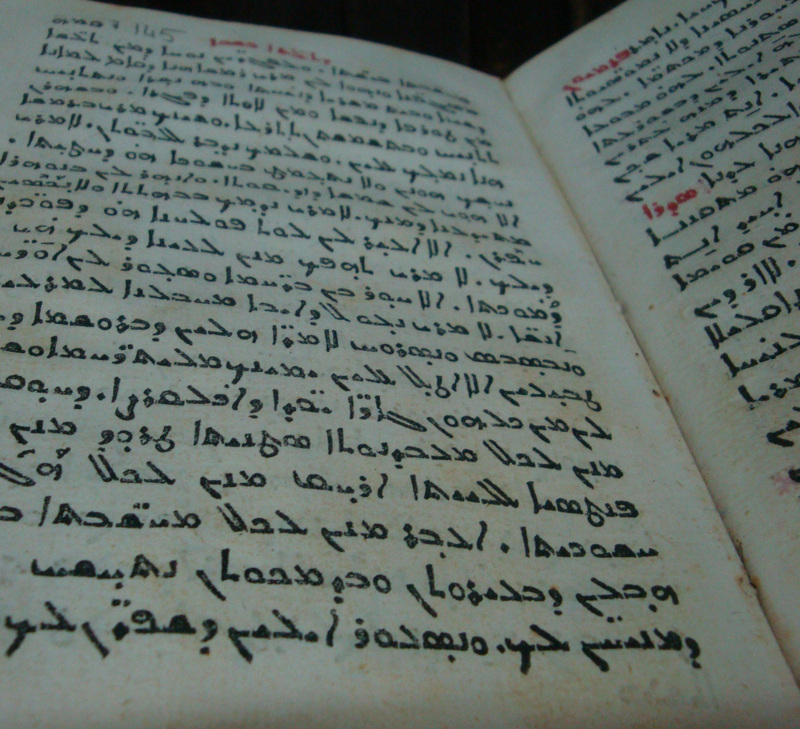 Books were in Arabic writings using the Syriac alphabet. 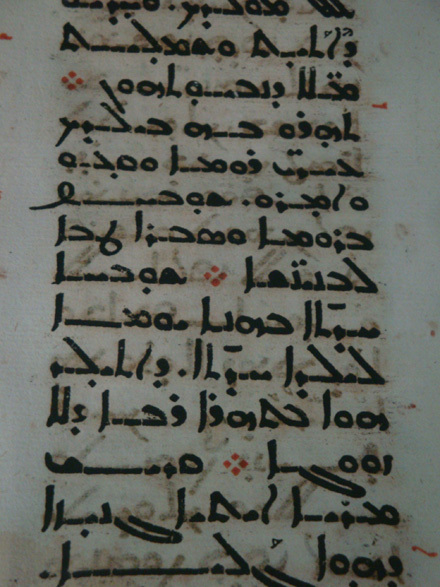 The word “Garshuni” was used by George Kiraz to coin the term “garshunography”, denoting the writing of one language in the script of another. Nowadays we still use the word ”karshouné” only to signify that a person is talking nonsense or that he is not being clear in his/her pronunciation. 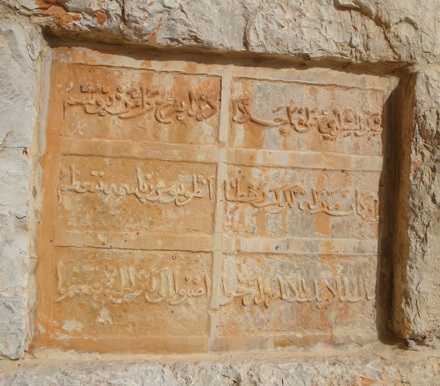 The press was renewed in the beginnings of the 19th century and a special place called “al ma’rama” was reserved for it in the monastery. In the year 1854 the work of the press was stopped due to the situation back then, to be renewed again in 1871 and then to stop completely in the beginning of the Second World War. 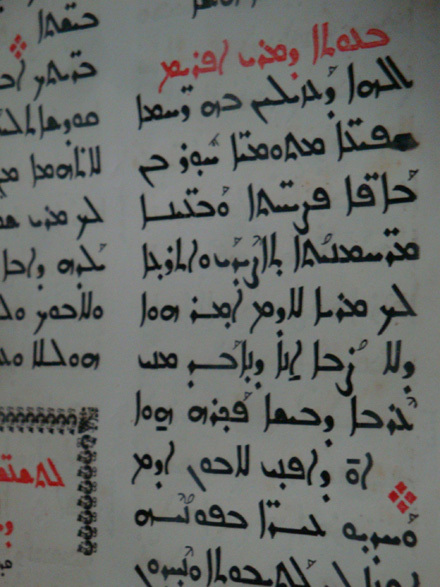 Nowadays the printing press in Saint Antonius monastery is not as well preserved as the printing press of “Al Zakher” in “Khinshara”. 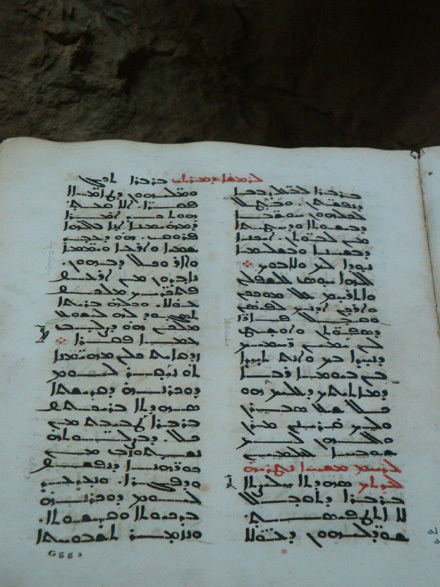 There are only the English printing press displayed, some books around it, a few Syriac metal letters typeset in a matrix, and some printing tools that were used in the press. 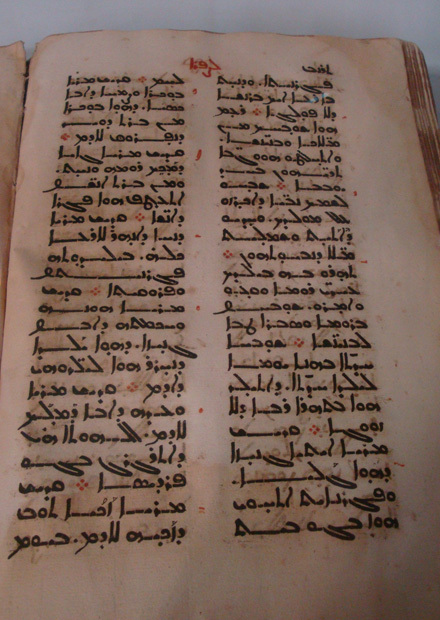 Keep note that Saint Antonius Press in Quzhayya is the first printing press in the Middle East (using Syriac letters), while the printing press of “Al Zakher” in “Khinshara” was one of the first Arabic printing presses in the Middle East after the Arabic printing presses in Turkey and Syria that preceded it a few years earlier. 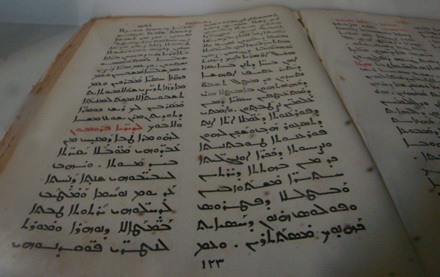 Karshouni existed before the 16th century amongst Syriac Christians who had adopted the Arabic language but continued to use the Syriac alphabet. 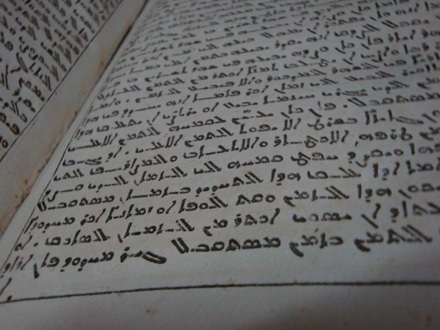 This was done for reasons of preserving identity though the Arabic alphabet was used as well. The same practise continued into the 20th century. 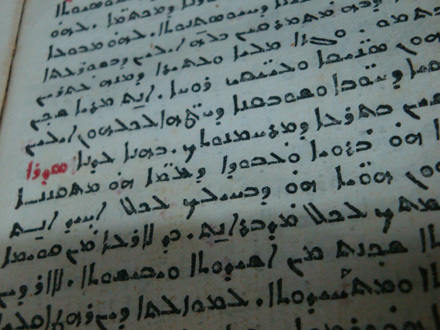 There are similar examples with other languages in the ‘wrong’ alphabet, not just Syriac. It’s a beautifully printed book. Thank you so much for sharing these informative and beautiful images and history. I found your blog through Creative Roots and am so pleased I did. I hope you won’t mind, but I used one of your images (with credits and links) on my blog mentioning that this was a great post. I look forward to reading more from you. I’ve been to Quzhayya many times but I never got the info mentioned here! Hey, i just passed there last weekend !!! sadly they didn’t let us in because it was off visiting hours .. !! Is it just me or is it quite difficult to read (to the contemporary eye I mean)? 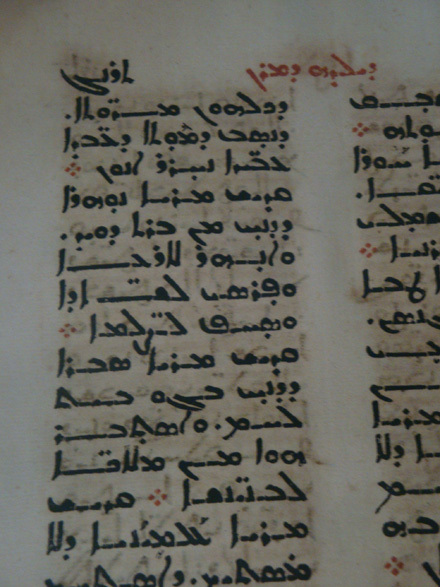 It looks also that the characters have been built using composite shapes – i.e. one matrix used as a composite for several characters? Am I right in this thinking? Superb, in-depth and insighful as always akhe, appreciate the generosity of your knowledge and discovery with us all. Hey very nice article. 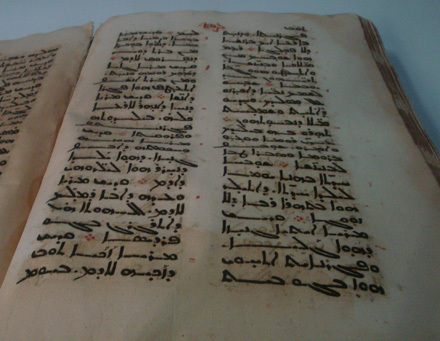 I would like to know more about the printing press, notably the context in which it was brought to the Middle East, and the effect it had on the spreading of culture. Basically, anything that mentions the upcoming of printing press in the Middle East. Do you know any book/website/anything where I could find more information? Thank you for keeping up up to now using the latest. Good to obtain visiting your page once again, it’s been years for me. I’m impressed, I must say. Really rarely do I encounter a blog that’s both educative and entertaining, and without a doubt, you’ve hit the nail on the head. Your idea is outstanding, the problem is a thing that insufficient folks are speaking intelligently about. I am happy that we found this during my seek out something with this. Due to reading your website, I chose to write my very own. Id never been considering keeping a blog until I saw how fun yours was, however was inspired! Would certainly like to express your article is stunning. The clarity inside the post is just impressive and i also will take like a given you could be a specialist with this field. Well with all your permission i want to grab your feed maintain at the time of yet with succeeding post. Thanks several and please continue the sound work. ï»¿I recently added this site to my bookmarks. I like reading you. It turned out quite helpful and reduced the problem tons! I really like just having a break from studying and visiting your website. I just wish you posted more often. I am extremely a new comer to the net and required to review this subject. Thought it was a fantastic article well written and helpful. I will definitely be returning to your site to learn more articles as i loved this one..
Good blog post. Is extremely good point of view and i desire to appreciate interesting and tips. Many thanks! With property costs and interest as low as they are today, anyone who has the means should look into purchasing a residence. I have never seen interest stay this low for so long and it can’t stay this depressed for much longer. A house is a great investment, because of at todays prices and interest rates. Not sure I agree with you here, but overall a generally good article. I agree with your 1st Printing Press in the Middle East :::: Arabic Type Designer & Typographer :: Arabic Type :: Pascal Zoghbi ::::, good post. The crux of your writing whilst appearing agreeable originally, did not work properly with me after some time. Someplace within the sentences you actually managed to make me a believer but just for a very short while. I still have got a problem with your jumps in assumptions and you might do nicely to fill in those breaks. In the event that you actually can accomplish that, I would undoubtedly end up being impressed. Hq9ljZ try it or not ? Hi There,Very nice post. I just stumbled upon your site and wanted to say that I’ve truly enjoyed browsing your blog posts. After all I’ll be to enjoy more and I hope you continue to write again very soon. A Very Nice Work ! Thank you, very much. Thanks for some other informative site. Where else may just I am getting that kind of info written in such a perfect method? I have a venture that I am simply now operating on, and I have been on the glance out for such information. Are all those karshuni books? What are their titles? Thank you for the good writeup. It in fact was once a enjoyment account it. Glance complicated to more introduced agreeable from you! By the way, how could we keep up a correspondence? Remarkable things here. I’m very satisfied to see your article. Thank you a lot and I am having a look ahead to contact you. Will you please drop me a e-mail? Wow, awesome blog layout! How long have you been blogging for? you make blogging look easy. The overall look of your site is fantastic, let alone the content!. 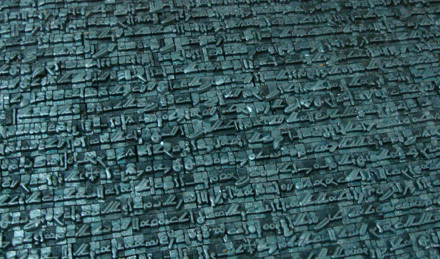 Thanks For Your article about 1st Printing Press in the Middle East | 29LT BLOG | Arabic Type Designer | Arabic Fonts | Arabic Typography & Graphic Design | Pascal Zoghbi . Wow, wonderful blog layout! How long have you been blogging for? you made blogging look easy. The overall look of your website is fantastic, let alone the content!. 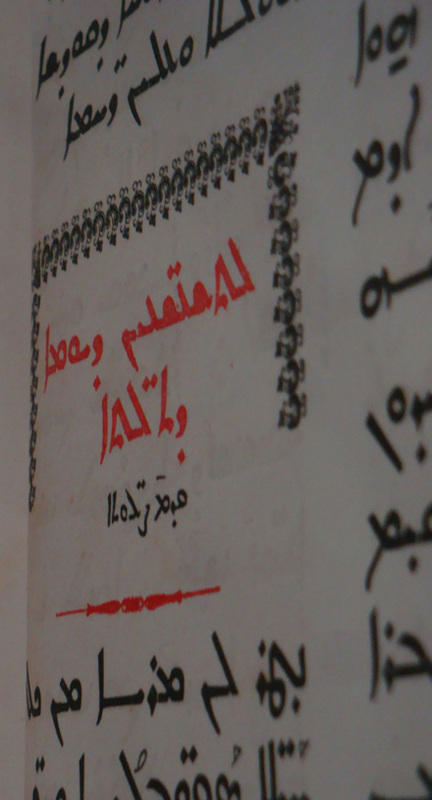 Thanks For Your article about 1st Printing Press in the Middle East | 29LT BLOG | Arabic Type Designer | Arabic Fonts | Arabic Typography & Graphic Design | Pascal Zoghbi .